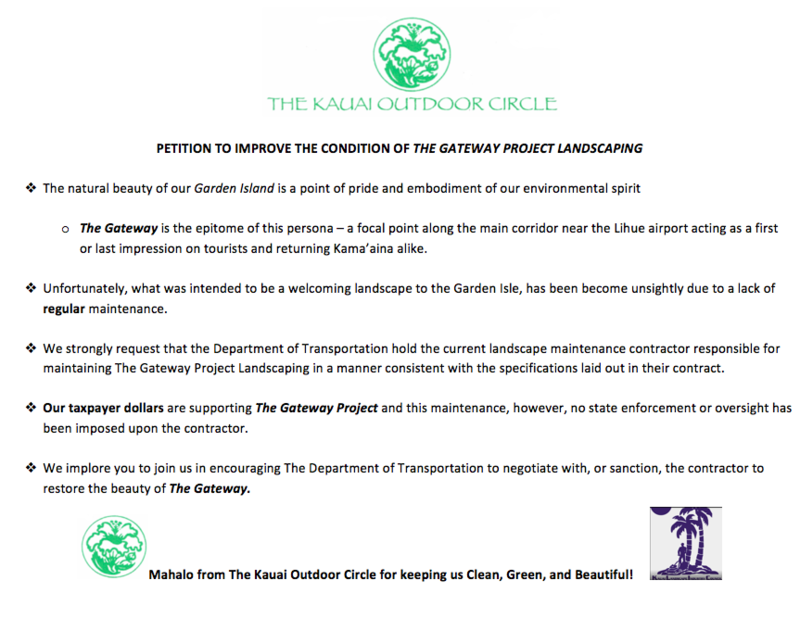 What is the Kauai Outdoor Circle? 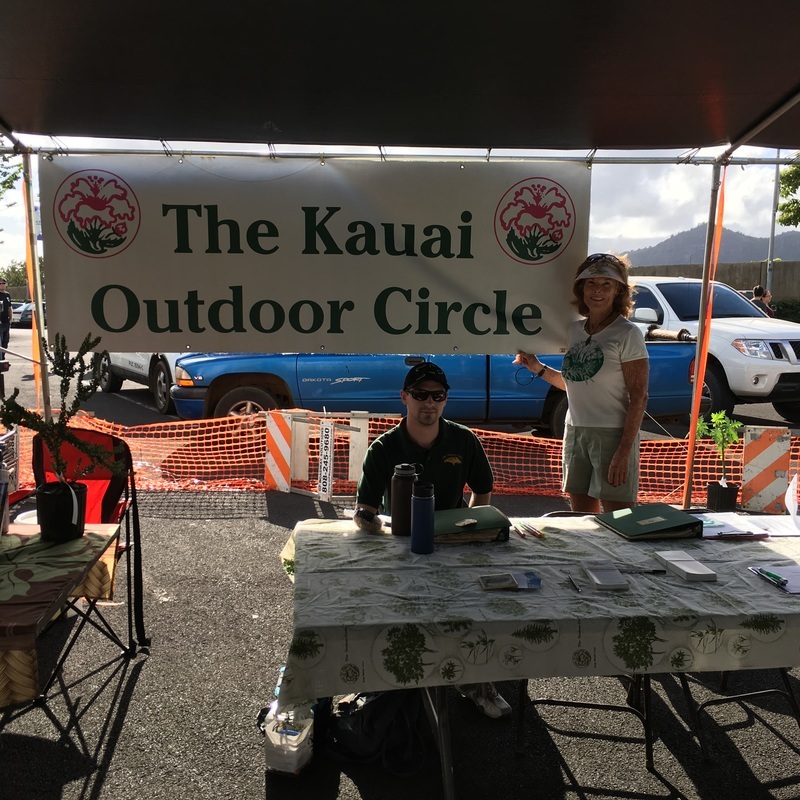 ​We are a branch of the statewide organization known as The Outdoor Circle (TOC), the first environmental non-profit organization in the State. We were formed by a group of concerned citizens almost 100 years ago. Our mission is quite simple—to keep Hawai‘i clean, green, and beautiful by preserving, protecting, and enhancing our environment for future generations. What you see is what we protect. What could be more valuable? What can I do to save these beautiful trees? How can I learn more about plants and trees? What can I do to protect our open spaces? What can I do to eliminate visual clutter? What can I do to eliminate illegal signs and banners? What can I do to enhance the beauty of our Island home? How can I work with like-minded people?